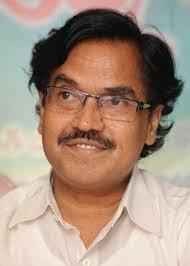 Suddala Ashok Teja is a popular lyric writer in Telugu film industry. He hails from a Suddala, a tiny village in Nalgonda. He is son of the great freedom fighter and folk artist Suddala Hanumanthu who fought against the Nizams rule in Telangana. Suddala's lyrics are thought provoking and carry a inherent message to the society. He has set his own standard in industry in terms of lyrics without giving any chance for obscenity. He won the National Film Award for Best Lyrics in the year 2003 for his song Nenu Saitham in the movie Tagore (2003), he based the song on Sri Sri's 'Nenu Saitham' from Mahaprasthanam. He is the third writer to win this award after Sri Sri for his "Telugu veera levaraa" in Alluri Sitaramaraju and Veturi for his "Raali poye Poova neeku" in "Matrudevobhava .